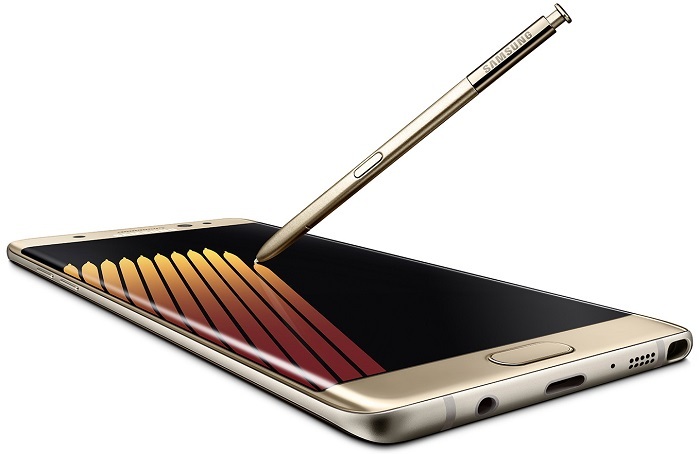 The Samsung Galaxy Note7 was announced earlier last month and since then has received good reviews everywhere. However, it has been in the news lately for wrong reasons. There have been reports about the Galaxy Note7 units catching fire and exploding. However, Samsung has now said that the Galaxy Note7 units will be recalled. There have been reports lately about the Note7 units catching and exploding. After inspection, Samsung has reached to the conclusion that the problem is caused because of defective battery. The battery cell has been designed by Samsung but the manufacturing was outsourced. “To date (as of September 1) there have been 35 cases that have been reported globally and we are currently conducting a thorough inspection with our suppliers to identify possible affected batteries in the market. However, because our customers’ safety is an absolute priority at Samsung, we have stopped sales of the Galaxy Note7.” said Samsung in an official press release. Samsung’s Head of Mobile Business Mr. DJ Koh has said that only 24 units in every million are at the risk. However, to ensure the safety of their customers, Samsung has begun recalling the units on a global scale. For those who already own the Galaxy Note7, Samsung will voluntarily replace their units with a new one in the coming weeks. This can be a major blow to Samsung considering the fact that the next generation iPhone is going to be launched on September 7. This can also force the customers to move on to flagships offered by other companies as it will be a while till Samsung resolves this issue entirely. UPDATE: Sales of Galaxy Note7 in India will be delayed.